The Seven Deadly Sins of AI Predictions by Rodney Brooks is required reading in this area and it is always good to remember Amara's Law: "We tend to overestimate the effect of a technology in the short run and underestimate the effect in the long run." The relationship between Tether (USDT), which is nominally linked to the US dollar, and Bitcoin trading has been in the news a lot in the past few days. This prompted me to find out more about Tether and the first stop was coinmarketcap.com where Tether is currently listed as the 10th largest cryptocoin by value of coins in issue. It is still very small however, at just over 1% of the total market. In fact, the dominance of Bitcoin is trememdous. I have computed an active total market cap share, ignoring coins for which at least one of the following is missing: one hour return, one day return, one week return. Bitcoin is near 43% and over half of the share attributed to the top ten coins. Only Ethereum is of nearly comparable size, followed at a distance by the Ripple XRP. the volume actually in issue could be unknown because unlike shares in a company, it is possibly to actually lose cryptocurrency and it has been argued that one third if the Bitcoin in existence is in fact no longer there. However, for these reasons it is likely that the market cap of the larger cryptocoins which are more liquid, reflect more value than those of the minnows with less than 1% of the total. Perhaps MaidSafeCoin, number 69 and market cap near $150m, is going somewhere but I might be prepared to short it. Help, I have three languages on my Ubuntu Linux desktop! My fresh Ubuntu Linux installation in a Oracle VirtualBox virtual machine displays a surprising three languages... English, I can understand, Hungarian I chose but the day of the week in Afrikaans, next to the time, is really baffling. The Debian host system has Afrikaans as preferred language but I really do no think that it should propagate to guest operating systems. During installation, I did choose Johannesburg as my location (mainly for the time zone) but I have no recollection of being able to select a language, specifically for the time. The LC_ system variables in Linux are not one of my strong points but I more or less understand what they are about. On balance, I think this might be an error in the Ubuntu installation script, which still leaves me wondering why Afrikaans and not one of the 10 other official languages in Johannesburg. Why Ubuntu on Debian? I would like to run some software which is not easy to install on Debian, specifically the UltraNote wallet. My parents use a large and once venerated South Africa bank where the CEO (conveniently, her husband was once minister of finance, and also competent, which must simplify some things) gets paid over R35 million per year, a lot of it surely in bonus. 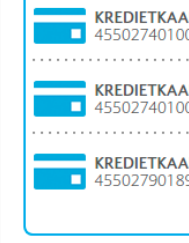 Nevertheless, my parents' Internet banking profile shows 3 credit cards on the website and 5 distinct ones in the app (all, apparently expired but showing the same balance) while the card that they actually use is nowhere to be seen or added. The call centre has just told me that the only way to change any of this is to visit a branch. Given how much time many of us spend in traffic, it is surprising top me that we do not discuss it more. Although slightly off-topic for this blog, I would like to suggest some important characteristics of freeway traffic to keep in mind. How traffic actually works by Jason Liszka ("A Gentleman and a Scala") provided some of the inspirations and images are used here without permission but under the presumption that it constitutes fair use under South African copyright law. 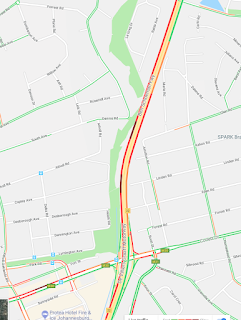 Google Map's traffic layer shows, on the right, the area around the Corlett Drive exit on Johannesburg's M1 which might really still be called the Sir De Villiers Graaff Motorway as here on Google, at around 16:45 this afternoon. Traffic coming in from Sandton and Pretoria (from the top) flows nicely (we drive on the left, remember) until about a kilometre or so before the ext and then again after it. 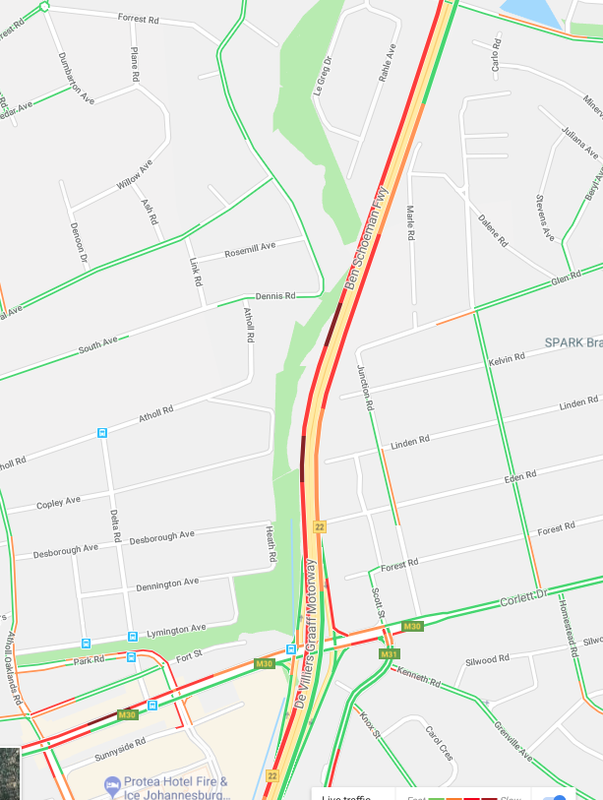 I know this area and although it is possible there was an accident, I think this is usually simply traffic caused by the exit itself even though the map does not yet appear to show exit traffic backing up onto the freeway a bit, which often happens here and even more so at Grayston Drive, just off the picture at the top. Obviously, an easy solution is to widen the road area of the exit so as to simply provide more parking space at the robot so that cars do not need to quasi-park on the freeway. 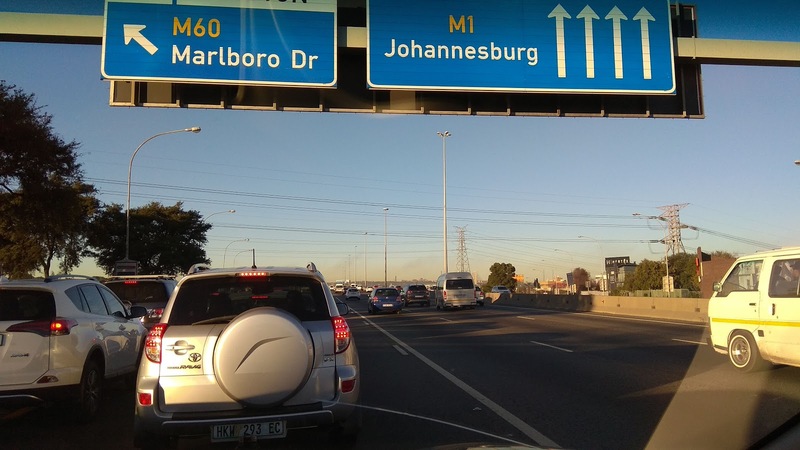 Closing the exit during peak hours might also help if nearby exits are able to handle the additional traffic. Experimenting might not be all that difficult! To see that this might not really be harmful, consider the following graphs from a recent study Freeway Speed-Flow-Concentration Relationships: More Evidence and Interpretations (with Discussion and Closure) by James H Banks in San Diego. 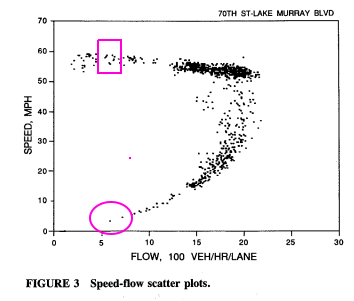 The areas outlined (by me) in pink in Figure 3, show observations having the same flow per hour of vehicles for a section of the freeway but demonstrate that this low flow can be achieved in two different ways – by cars moving quite fast (and at lower density) and by cars moving at an absolute crawl (but higher density on the road). The outcomes of the two situations are exactly the same in terms of the number of cars and people able to travel from A to B in an hour. This is the catastrophic transition from free-flow to congested traffic which everyone should be very eager to avoid. 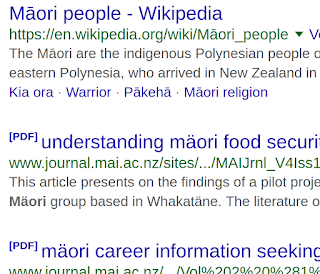 Figure 4 in the article (on the left) is a slightly different view of the same phenomenon. In the area outlined (by me) in blue, we have near maximal flow with modest occupancy (the amount of road space occupied by cars). Observer how quickly the free-flow situation deteriorates after reaching its peak at around 20% which simply means that everyone has room for 4 cars between themselves and the next driver. 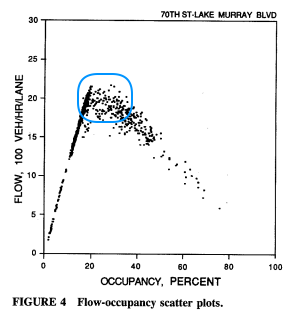 Any higher occupancy than that reduces the flow, i.e. the aggregate outcome for everyone. What is the solution or take-away conclusion? Basically, a freeway is of greatest utility when the following distance is four cars. Would some people pay to move closer to this optimal usage? Surely. Do we know quite how to make it happen? Possibly, not yet. 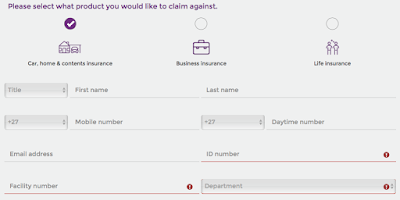 Now, it is actually not even necessary to complete both the "ID number" and "Facility number" fields (one being sufficient) so this is bad in any case but should one not at least be given time to try? 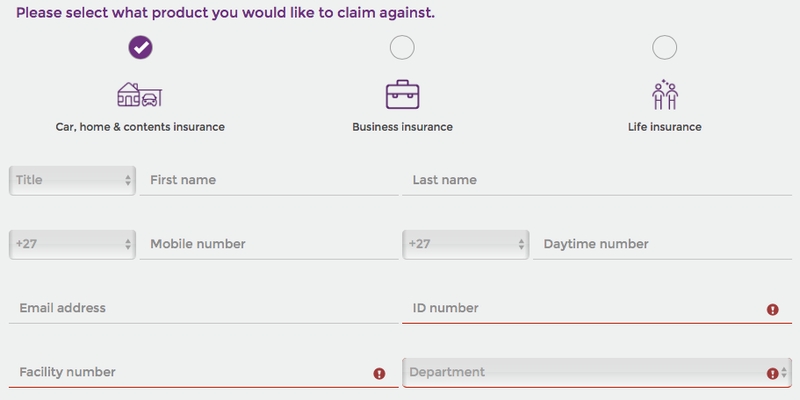 Even better, in case all of these three fields are completed before selecting the category at the top, the form immediately throws up all three red invalidation exclamations again and reverts "Department" to the default non-selection instead of the value entered earlier. Hierdie boodskap verskyn by my in Opera op blockchain.info waar die webblaaier waarskynlik die taal wat verkies word as Afrikaans aanmeld. 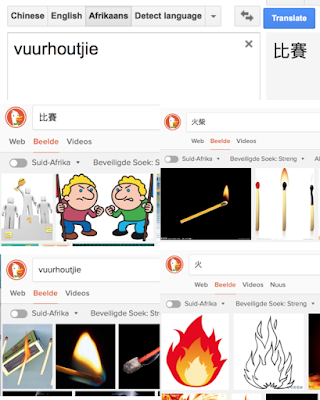 Dit is amper nooit 'n probleem nie want die webbediener hoort die inhoud dan net in die verstektaal van die webwerf (Engels, Russies of watookal) aan te bied. 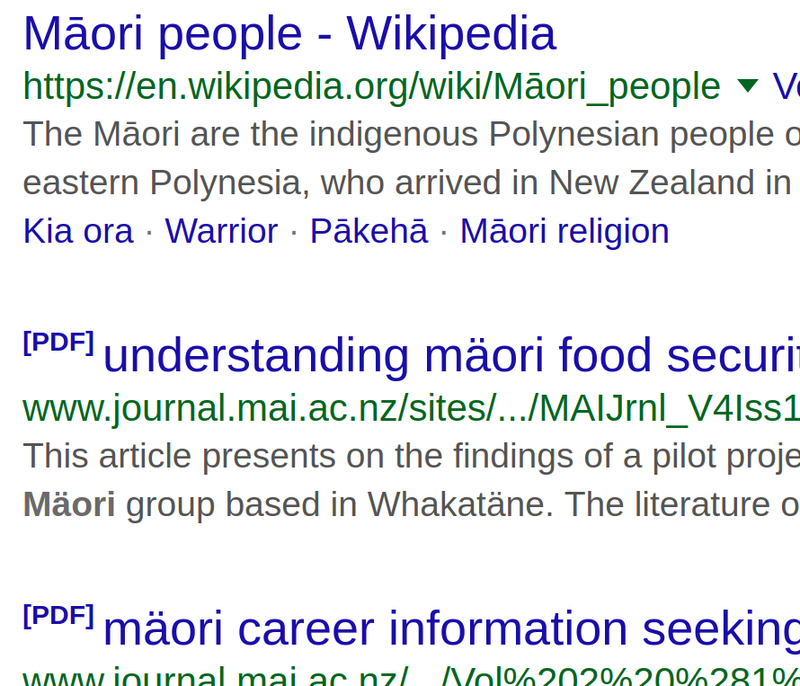 From Wikipedia: "a locale is a set of parameters that defines the user's language, region and any special variant preferences that the user wants to see in their user interface." 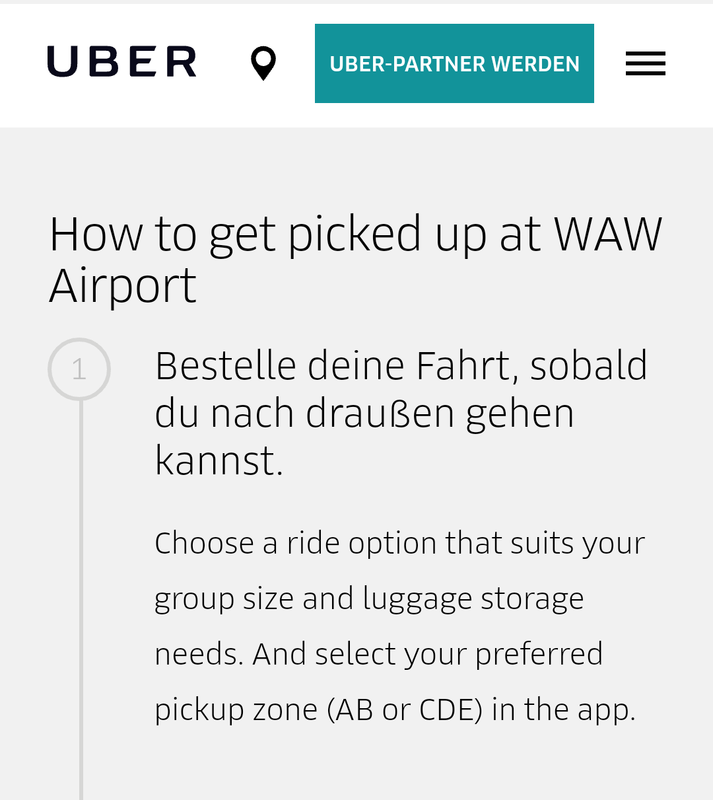 Basically, German has never been a language that I specified as a preference on any system, so why does Uber give me German headings on the app when I arrive in Warsaw on a flight from Berlin? 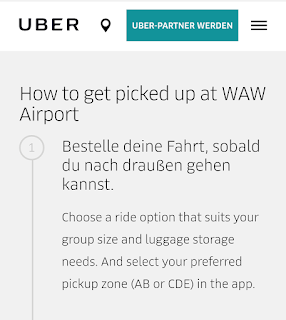 I do not even recall having a German interface while in Germany (which I would not expect). Is is possible that AI will be useful in spotting this kind of unexpected behaviour in software? 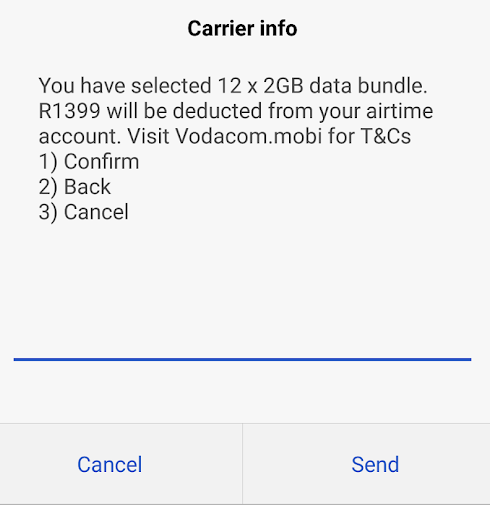 Vodacom is nogal „goed” daarmee om hulle gunstige tariewe te verberg. 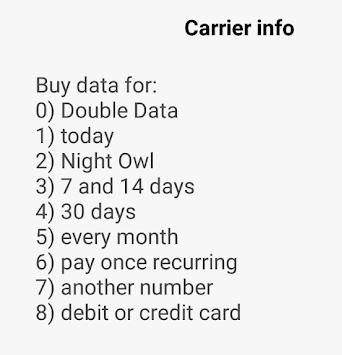 Ek gebruik al jare lank die peperduur databondels op die webwerf (tussen R100 en R150 per gig) maar het toevallig hierdie week gesien dat deur die USSD-kanaal *111# 'n mens baie goedkoper tariewe kan kry. Vir R1399 eenmalig is dit 2 gig per maand vir 12 maande, m.a.w. 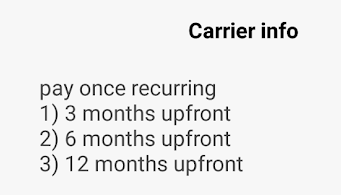 R58,29 per gig wat nie sleg is nie, hoewel nog baie duurder as op die netwerke met meer beperkte dekking soos Telkom en Cell C.
Hier bo is die kieskaarte van die USSD-kanaal en hier onder die opsies op die webwerf. 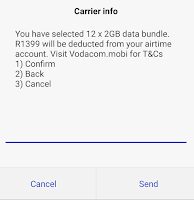 Tensy ek baie sleg soek, het Vodacom blykbaar glad nie 'n eenvormige manier waarop hulle produkverskeidenheid deur die verskillende kanale gepubliseer word nie. Die 7-dag en 14-dag opsies is ook nie deur die webwerf beskikbaar nie maar die dagopsie is (snaaks genoeg!) wel. South Africa's MTN Group "has licences from some very unattractive governments, to which it pays taxes, provides wire-tapping, collects metadata and censors content" (to quote my friend, Ewan Sutherland in his paper on the group). Not only that, it operates under a very unattractive shade of yellow and it is also allowing deductions of R15 per day from a relative's mobile account and not making it possible to cancel the "service". The telephone number that MTN provides (in the text message shown) for the scam factory "does not exist" when you try to dial it, incidentally. Now, the next desperate step was to attempt to register on their website. The first part was relatively easy but it transpires that to view account details, it is necessary to log onto something called "MTN Acive" for which you are supposed to use the same username and password as for the original site. 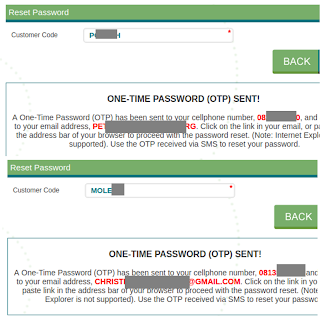 This failed dismally (it turns out) since the password which I registered does not comply with the password policy for the second site, although it was checked and did for the first. 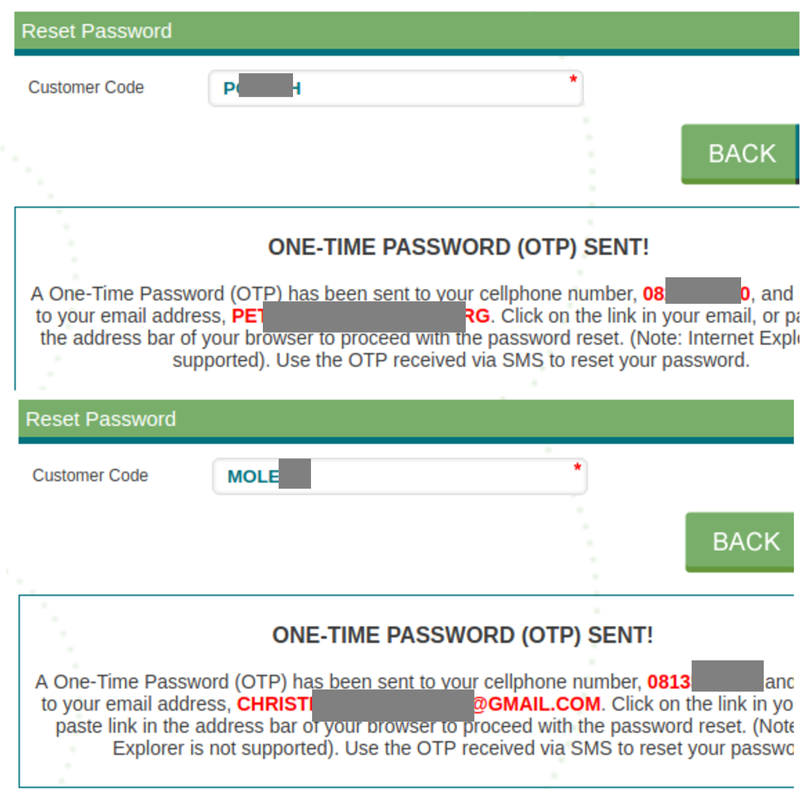 We are now locked out on the second site because we "entered the incorrect password" three times. Needless to say, the incoming South African president has close links to MTN, about which more can be read at the M&G: Ramaphosa and MTN's offshore stash. Xiaomi's been my preferred brand for my Android phones for a while and there's been a lot to like: low price, little bloatware and a nice and clean look. 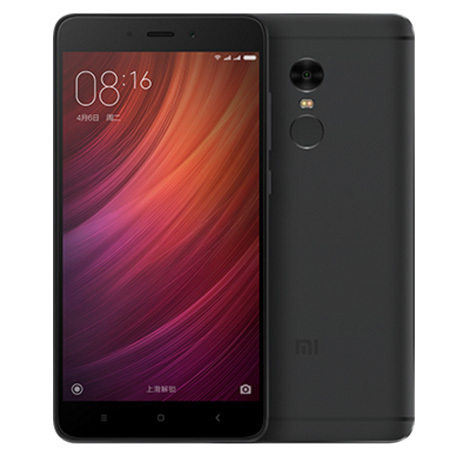 For Christmas, I bought myself a Redmi Note 4 "High Edition" in Bangkok for $200 and this is by far the nicest phone that I have ever had! 4GB an d 64GB, excellent cameras (a flash in front as well but the iPhone still takes much better pictures in low light), fantastic screen resolution and a fast processor. It's quite a large phone but just right for my spreading paws and it has the best feature of some recent Xiaomi devices: the fingerprint reader at the back, just below the camera and next to where your index finger is anyway. It is also simply an attractive device. Did I mention battery life? Two days with heavy use, no problem. Preparing for two long flights back from the Andaman coast earlier in the year, I downloaded two new episodes of the Breaking Bad spinoff prequel Better Call Saul on Netflix on my iPad. I was looking forward to the new series but somehow did not get around to watching it on the flight. When I arrived back in Pretoria though, I decided to watch Better Call Saul the same evening but Netflix suddenly announced that the series was not available in my (then) current location. Similar things had happened before so I tried putting the iPad in flight mode and – voilà! – the series was suddenly available again. Of course, copyright is territorial but I feel there are possibly conflicting consumer rights, possibly under South African law. After all, Netflix thought it legal for me to download the episode when I was in Thailand and, indeed, would have let me watch the episodes while flying over SA if my iPad had been in flight mode. As far as I am concerned, I acquired the right to watch the episode in Thailand and if Netflix will not let me watch it in Africa, they should refund part of my subscription. 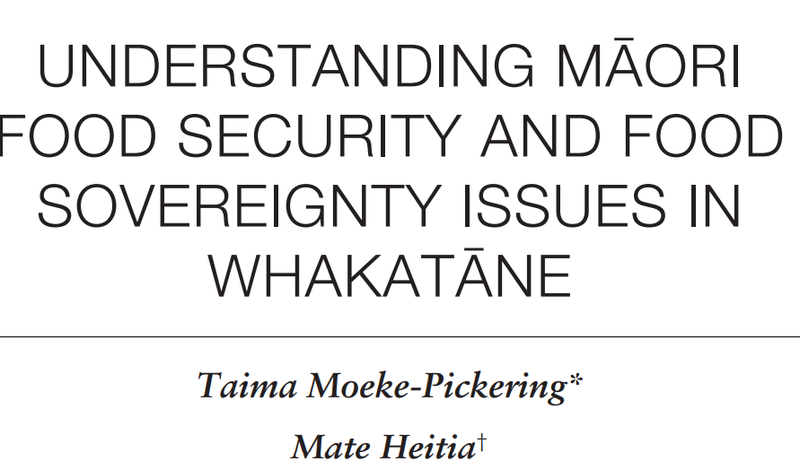 The issue reminds me of Kirtsaeng v. Wiley, 568 U.S. 519, 133 S. Ct. 1351 (2013, United States Supreme Court) which found that the US first-sale doctrine held for works published abroad, i.e. that the copyright owners cannot restrict the use, resale (and reimportation) of legally published material into the US. Kirtsaeng had imported textbooks legally published in Thailand and resold them in the US. Digital works are treated specially in many countries but I am looking forward to some interesting developments in this respect, especially since it is so counter-intuitive that in the online world, one's physical location should determine which material one is able to consume.